July | 2014 | Thoughts from the Shteiblech. 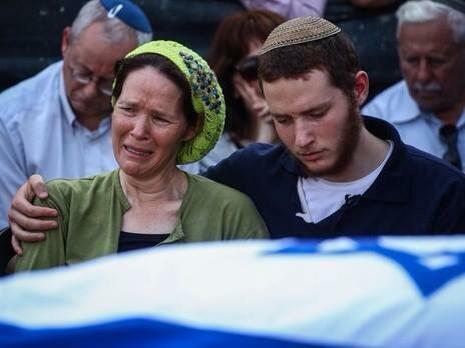 In Memory of the Max Steinberg and the other Fallen Chayalim Bodedim (Lone Soldiers) – YZ’B. None of us who attended Max Steinberg’s Levaya on Wednesday at Har Herzl could not have been moved and changed in some way by the heartbreaking experience. The parallels to Michael Levine’s Levaya which I also remember vividly, also in the days leading up to Tisha Báv were too obvious. Ironically, as was mentioned in the hespedim several times, Max was very much motivated and driven by Michael Levine’s heroic story. The story of Michael Z’L and Max Z’L were almost identical. Max’s story was also that of the other two chayalim bodedim who fell this week in battle. A story of courage, passion, overcoming obstacles of integrating into a different culture, mentality and language, idealism, physical, emotional and mental resilience, love of Am Yisrael and commitment to Medinat Yisrael. 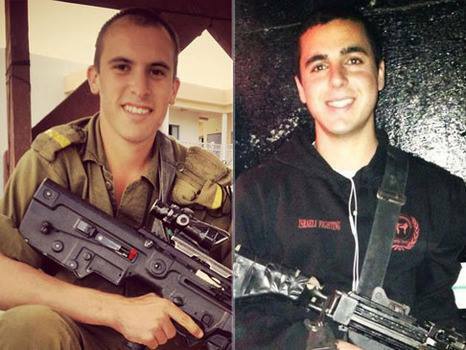 In choosing to fight in the army, these three boys showed they realised they were part of a larger and broader narrative that transcended their own personal identities, they were part of the narrative of Knesset Yisrael. As we learnt, Max who had only visited Israel a few years earlier on a Taglit trip, not only decided to spend more time here which is no easy decision, but also to serve in the army – not just serve in the army, but he chose to go into a kravi unit in Golani. How much easier, predictable and simpler would his life been had he stayed in California. But Max, like the two other chayalim bodedim we buried this week-realised that was more to life and there were values and ideals that were worth living, and in their cases tragically dying for. At the end of Parshat Masei, we learn about the safe houses established for the accidental murderer. What is interesting, is that there are three of these safe houses on each side of the Jordan. This may seem like an even division, however, we also know that over 75% of the tribes lived on the western, Israel, side of the Jordan. Why did the eastern side need as many safe houses for far fewer people? The Maharal explains the accidental transgression occurs when sensitivity is lacking. The eastern side did not value human life as most precious and therefore experienced greater accidental deaths and needed additional safe houses. This week we mourned and buried too many beautiful souls. The show of unity and support across Israel was astounding. The tremendous value we place on each of our precious soldiers is evident from the battlefield and into the afterlife. The safe houses we have today are designated to protect us from falling rockets fired by those with a callous indifference to the value of human life. To protect us from those on the other, eastern side of the border. May the families of the fallen chayalim be comforted and may Tzahal be able to complete their job of allowing us to live in safety soon. May the legacy of Max and all the other fallen chayalim only make us more dedicated to their values, of commitment to Am Yisrael and Medinat Yisrael. Rav Soloveichik on the Holiness of the Israeli flag and spilled Jewish blood. Rav Soloveichik in ‘Nefesh Ha’Rav’ writes that there is a section in the Shulchan Aruch that relates to the Holiness of the Israeli flag. In Yoreh De’ah 352, it says a person can’t be buried in an expensive shroud. In YD 364 it says, that if a Jew is found murdered, he should be buried in his bloody clothes that he was found in, without the normal shrouds. Why don’t we bury him in the usual shrouds? The Shach answers that, ”as the Jew was murdered, we bury him as he was found, in order to raise G-d’s anger against the person who killed the Jew”. This means that when G-d sees how the person was buried-in bloody clothes which will arouse G-d’s compassion to take revenge and avenge the spilled Jewish blood. Rav Soloveichik applies this to the Israeli flag. The Rav said that in 1948 in the War of Independence and subsequently, many heroic fighters have sacrificed their lives, Al Kiddush Hashem, in order to raise the Israeli – Jewish flag. The Rav claimed therefore that the Israeli flag has the Halachik status and Holiness of a murdered Jew’s clothing, as it symbolized spilled Jewish blood. The Rav said when the Israeli flag flies, it arouses G-d’s Divine compassion for Am Yisrael wherever it is seen and reminds G-d to avenge the spilled Jewish blood. Parshat Pinchas thought : Tzahal- Upholding Morality in a Confused World. We learnt in today’s Parsha that Pinchas is rewarded with the Kehunah after killing two sinners. How are the two connected? The Maharal explains that the essence of a Kohen is to bring peace. The sacrifices brought by Kohanim created peace between Hashem and Am Yisroel, and the Sotah offering restores peace between a husband and wife. Similarly, with his act of aggression, Pinchas ended the plague and quieted the warring factions against Moshe. For this he is rewarded with the Covenant of Peace (25:12) to fulfill the essence of the Kehunah. War is a last resort and an abhorrent act of aggression, however, for the sake of peace, safety, and tranquility it is sometimes necessary. As Ha’Rav Amital Z’L used to say, the ultimate challenge is to live and not die for Kiddush Hashem. As our dedicated selfless soldiers are defending us and getting ready to advance to the brink of war, we need to pray for their safety and ask Hashem to protect them while defending and honouring His children and Homeland. As has been proven over and over again, Tzahal are doing their utmost to reduce civilian casualties which is hard as the terrorists use civilians as human shields and launch missiles from highly populated civilian areas. May we see our soldiers return home soon! Why don’t we bury him in the usual shrouds? The Shach answers that, ”as the Jew was murdered, we bury him as he was found, in order to raise G-d’s anger against the person who killed the Jew”. This means that when G-d sees how the person was buried-in bloody clothes which will arouse G-d’s compassion to take revenge and avenge the spilled Jewish blood. Rav Soloveichik applies this to the Israeli flag. 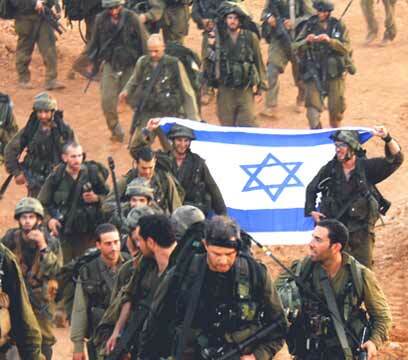 The Rav said that in 1948 in the War of Independence and subsequently, many heroic fighters have sacrificed their lives in order to raise the Israeli – Jewish flag. The Rav said when the Israeli flag flies, it arouses G-d’s Divine compassion for Am Yisrael wherever it is seen and that G-d may avenge the spilled Jewish blood.